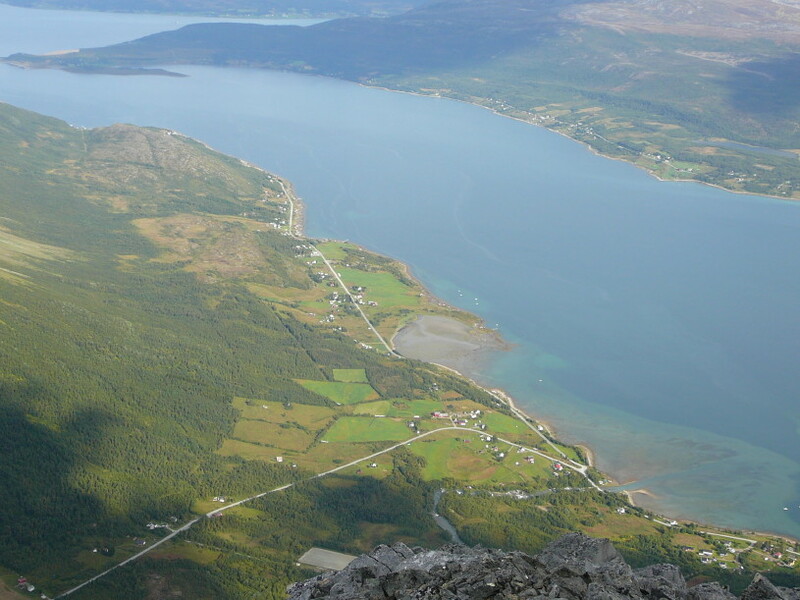 Sjursnestinden (1122) as seen Sørfjorden. 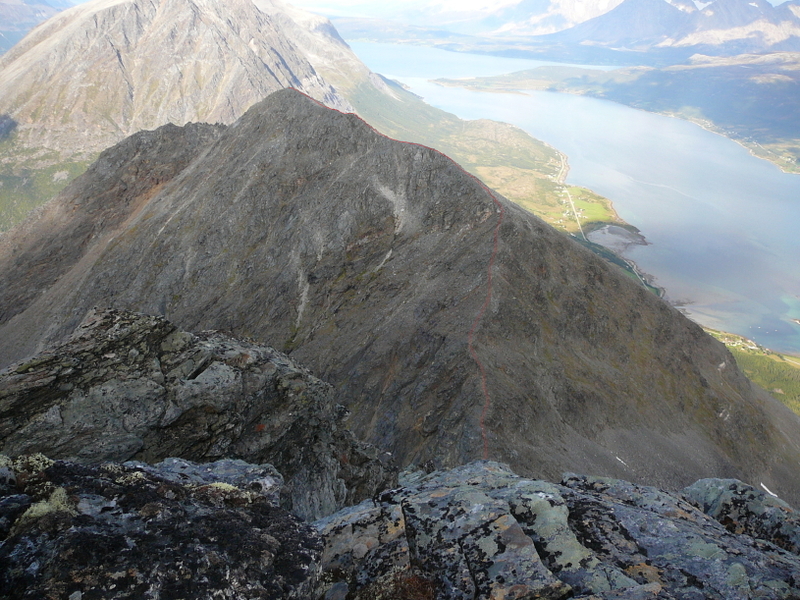 The South ridge is marked in red. 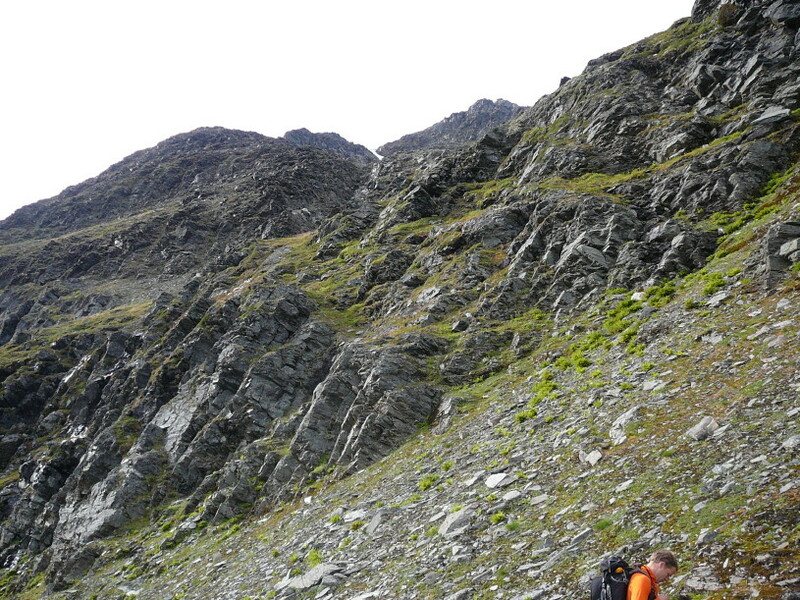 A brief description of the South ridge route: The approach to the ridge is rather complicated. See the map and the pictures below. 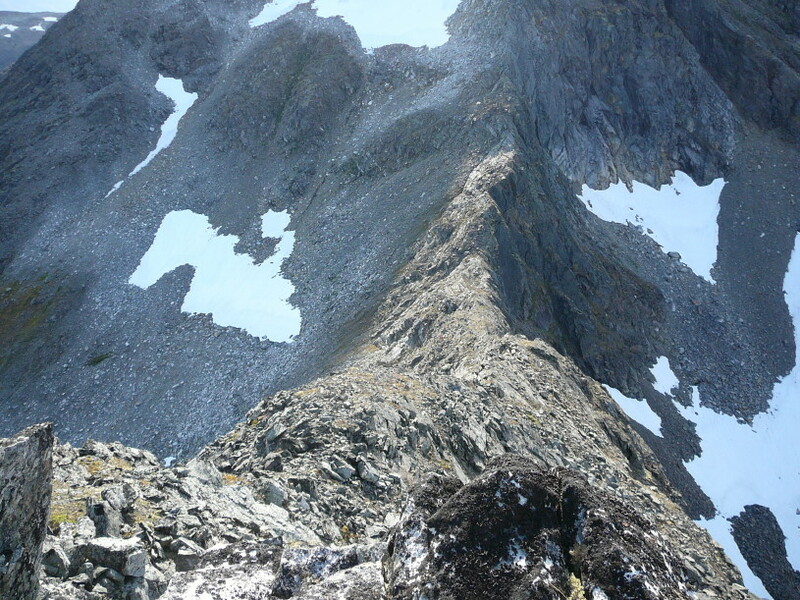 The actual ridge is straighforward with easy scrambling all the way to the summit. 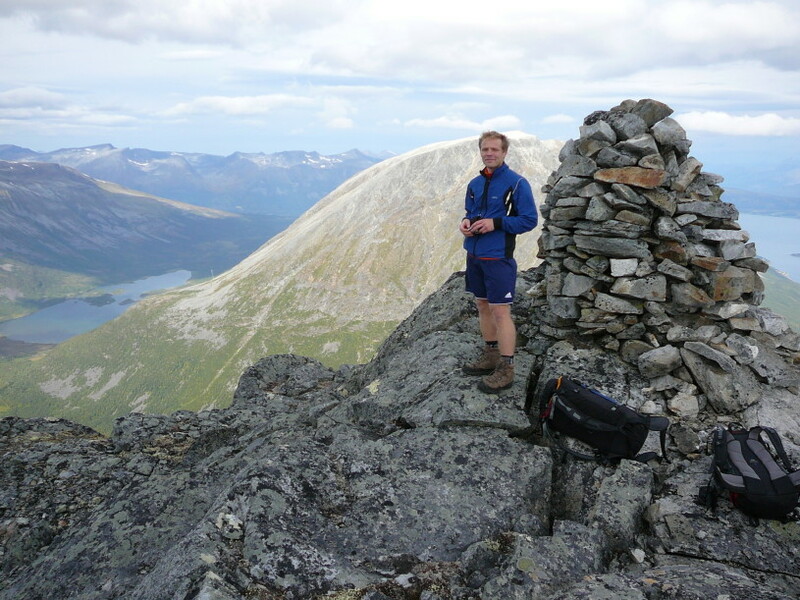 the Swiss guides Josef and Emil Imboden. 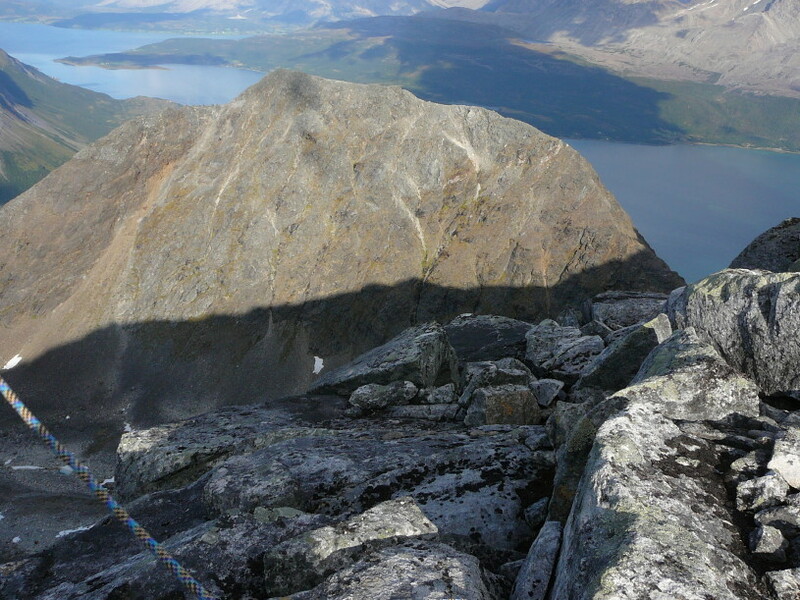 The report from Alpine Journal below gives the impression that they actually climbed Litletinden. From Alpine Journal Vol. 20: New Expeditions in 1899.
of at least one person who had been up before. 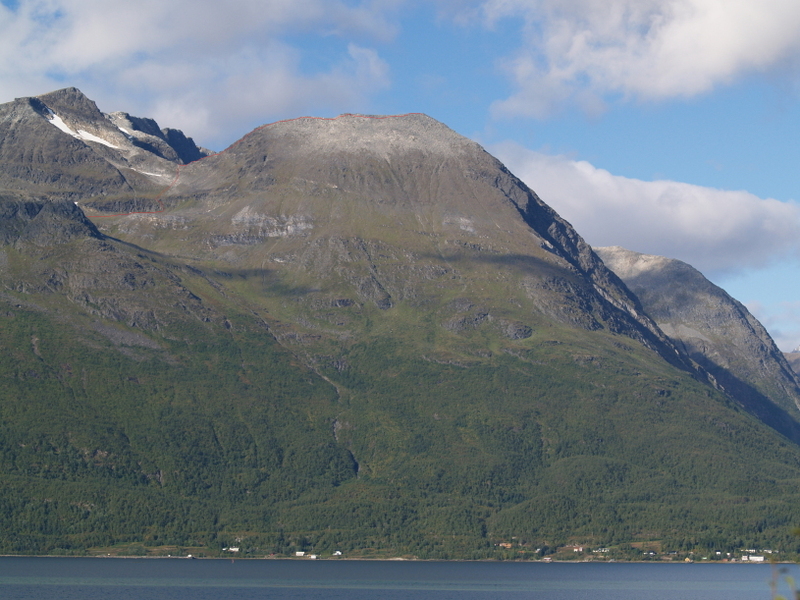 He found the height to be 3,800 ft.
Sjursnestinden (1122) as seen from Litletinden (1235). 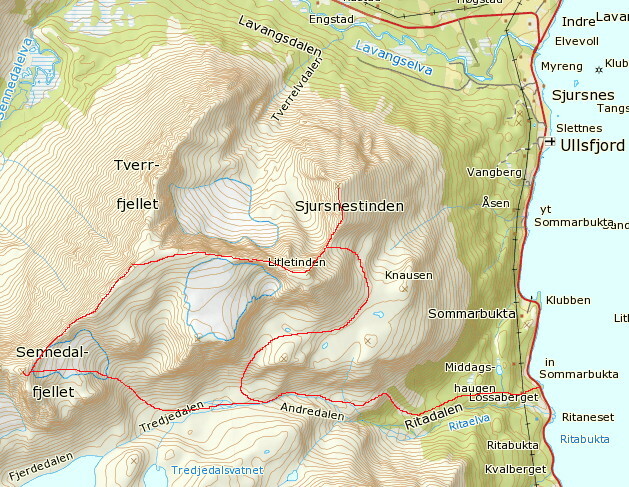 The South ridge is marked in red. 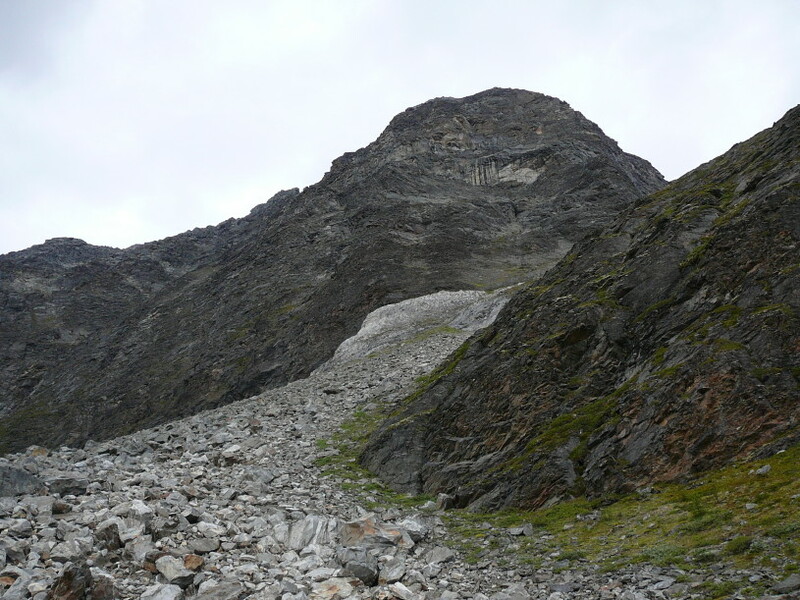 The South ridge of Sjursnestinden from the notch between Sjursnestinden and Litletinden. 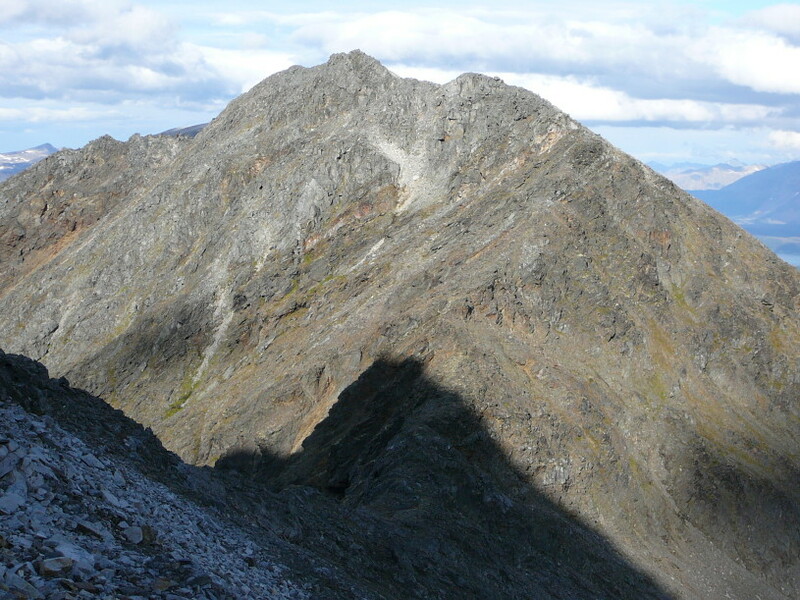 The summit is to the left. 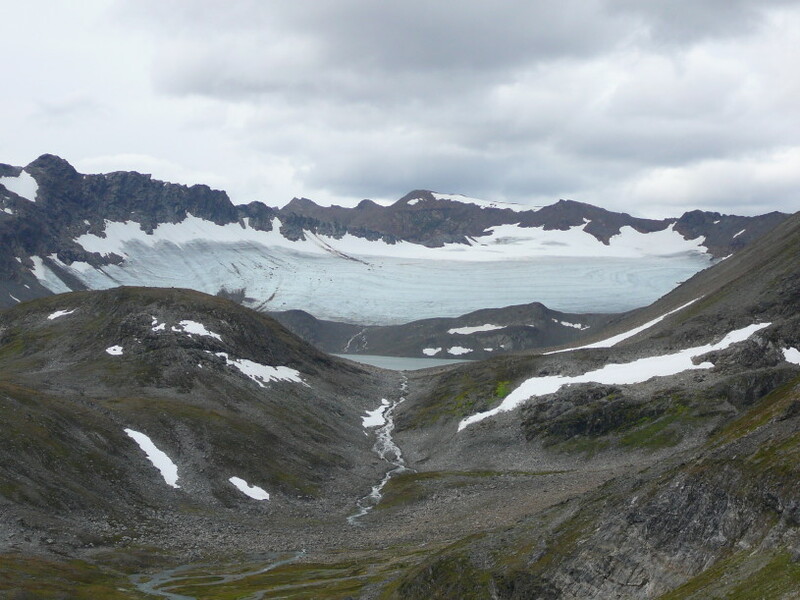 Looking down the South ridge of Sjursnestinden. 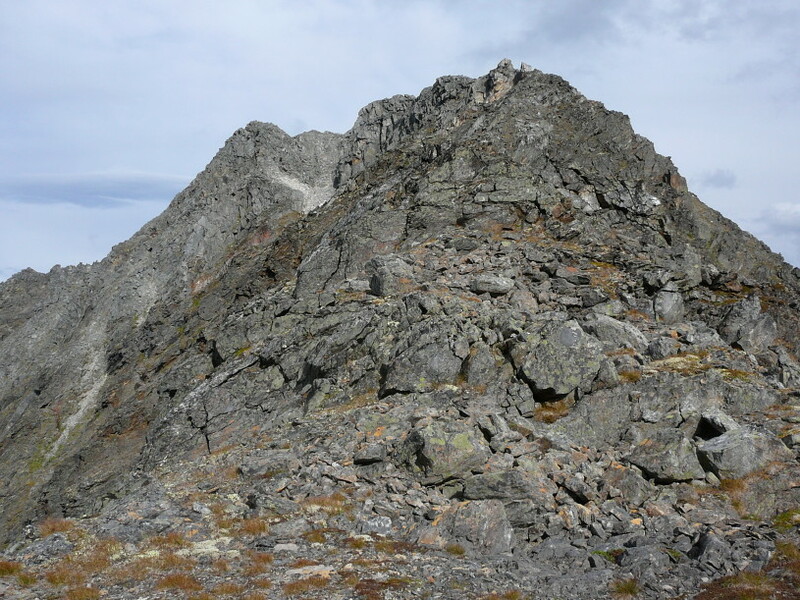 Sjursnestinden as seen from the North face of Litletinden.